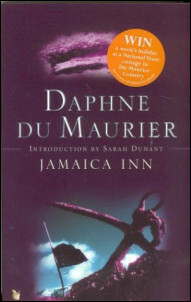 On a bitter November evening, young Mary Yellan journeys across the rainswept moors to Jamaica Inn in honour of her mother's dying request. When she arrives, the warning of the coachman begins to echo in her memory, for her aunt Patience cowers before hulking Uncle Joss Merlyn. Terrified of the inn's brooding power, Mary gradually finds herself ensnared in the dark schemes being enacted behind its crumbling walls -- and tempted to love a man she dares not trust.